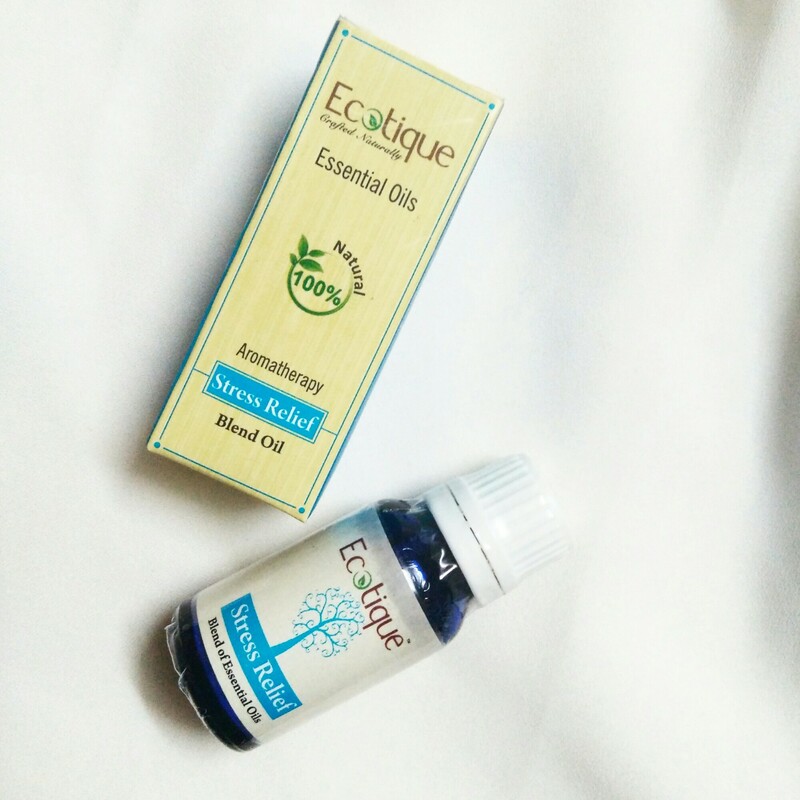 Today i am going to review an essential oil from Ecotique. 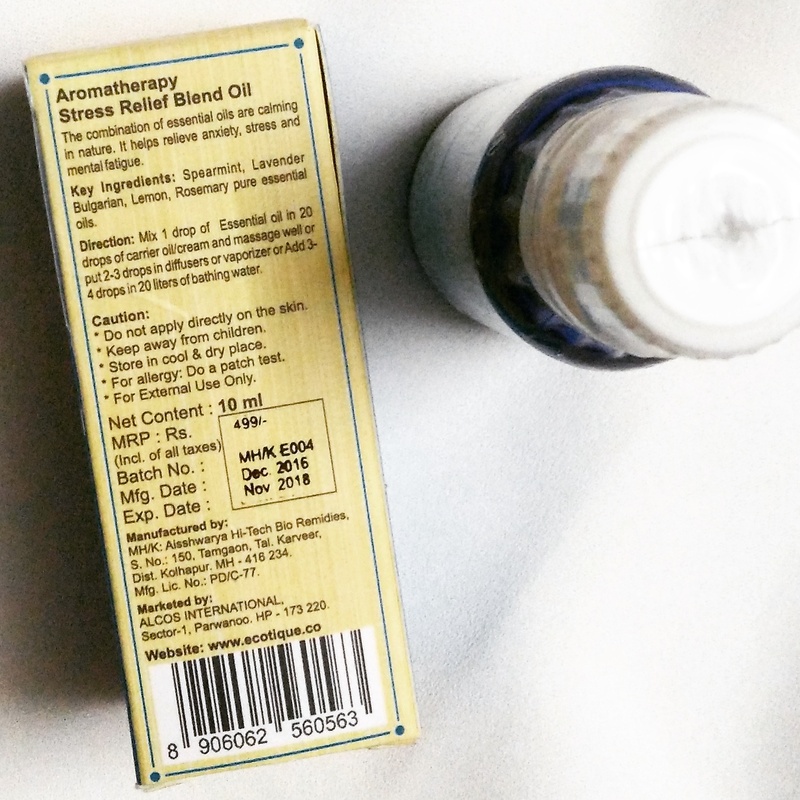 Its the Aromatherapy stress relief blend oil. Essential oils are good, powerful and are considered a natural remedy to relieve stress, tension, anxiety, relax the mind & body. 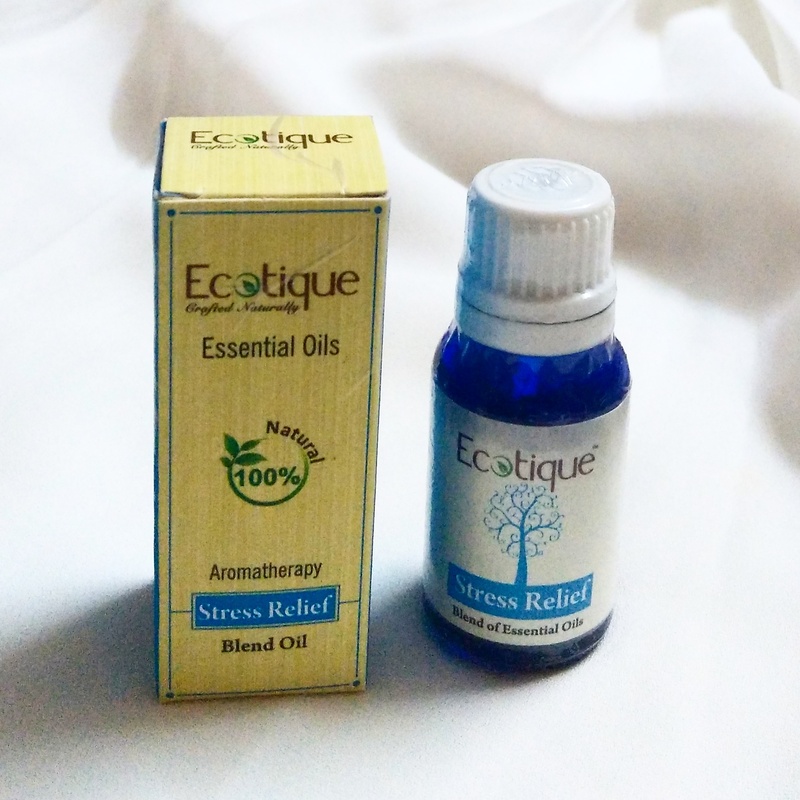 This particular essential oil for stress relief is 100% natural and is a combination of Spearmint, Lavender Bulgarian, Lemon, Rosemary pure essential oils. Lavender Bulgarian helps in soothing and calming, Lemon helps in refreshing, Rosemary helps with stress, Spearmint helps in relaxing. It comes in a blue transparent glass bottle with a screw cap. It also has a stopper inside. But when i got the bottle it was leaking. This is not travel friendly as per me. This 10ml bortle is priced at 499rs. Its shelf is 2 years from mfg date. The scent is medium types…not too strong and not mild either. I have used this quite a number of times by adding 3-4 drops in my bathing water. My entire bathroom gets filled with the scent of this essential. The scent gives so much positivity to my mind and provides the much needed relief. It brings a sense of calm and my mind is at peace. This is the best way to relax your mind and body after you have had an stressful day. With combination of so many pure essential oils it surely helps to cope with stress. This makes my bathing sessions so much more peaceful and gives me that luxurious feeling too. You can also simply add a drop of this essential oil to your cream and massage on your hands to help you relax. 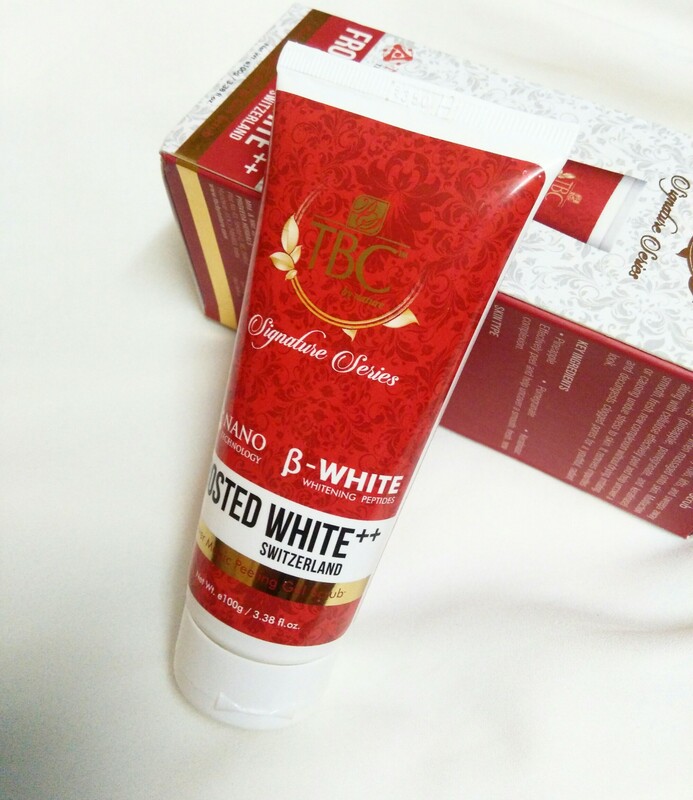 Reviewing my first product from TBC by Nature Before starting of with the review let me tell you a little about the brand. About the Brand: Proveda herbals company introduced reformulated brand ‘ TBC by nature’. It wants to set the trend in the world by changing the lifestyle of the people by providing them extensive premium range of products with an attractive packaging. TBC by nature offers a wide range of products in haircare, skincare, skin treatment products, baby care and many more. It aims at providing high quality products to its customers. The company believes that ‘providing the customers with better service is not just best but legendary and good service is good business’. 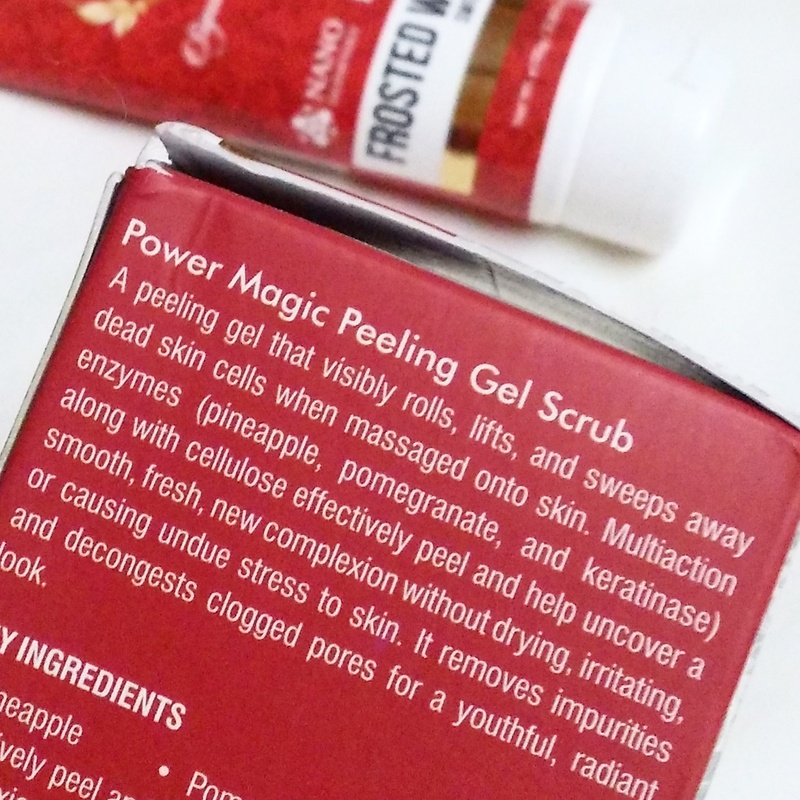 The brand has recently launched their new product ‘Power Magic Peeling Gel Scrub’. Key Ingredients: Pineapple, Pomegranate, Keratinase. The scrub comes in a tube with a flip cap. The tube comes inside a thick cardboard box. All the information has been mentioned on the tube as well as box. The bright red colour of the tube makes the packaging eye catchy. 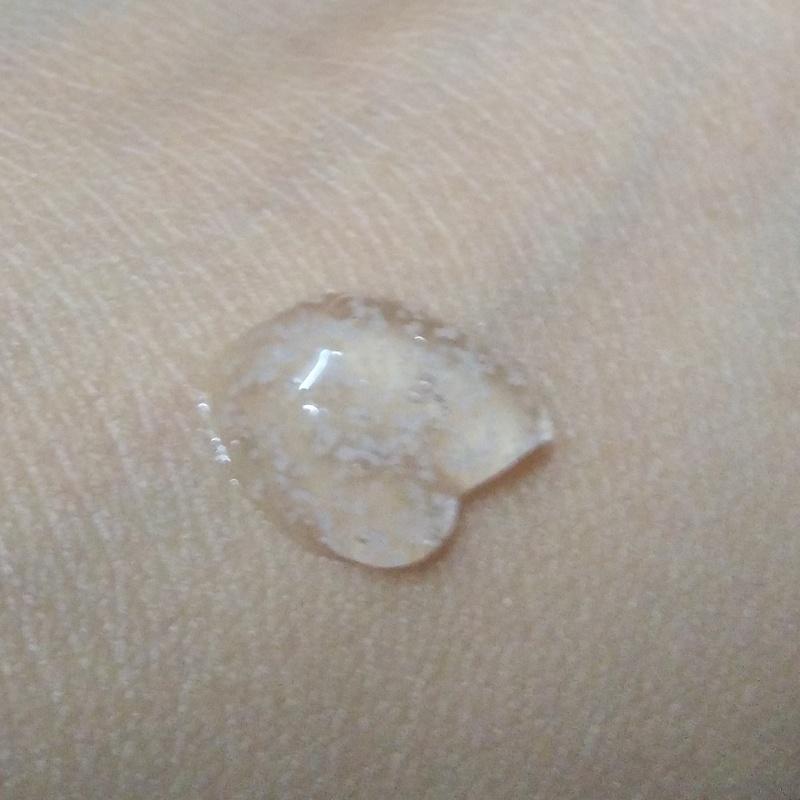 The scrub is a transparent white gel with tiny scrub beads inside it. Though the brand says that it is fragrance free, it has got a strong powdery smell. I have been using this scrub for a week now. The scrub doesn’t creates lather and is gentle on the skin. Even the scrub beads are so tiny that they are extremely gentle on the skin and won’t irritate your skin. My skin feels smooth and clean instantly. It does away with the dullness of skin in single use. It instantly brightens the face. 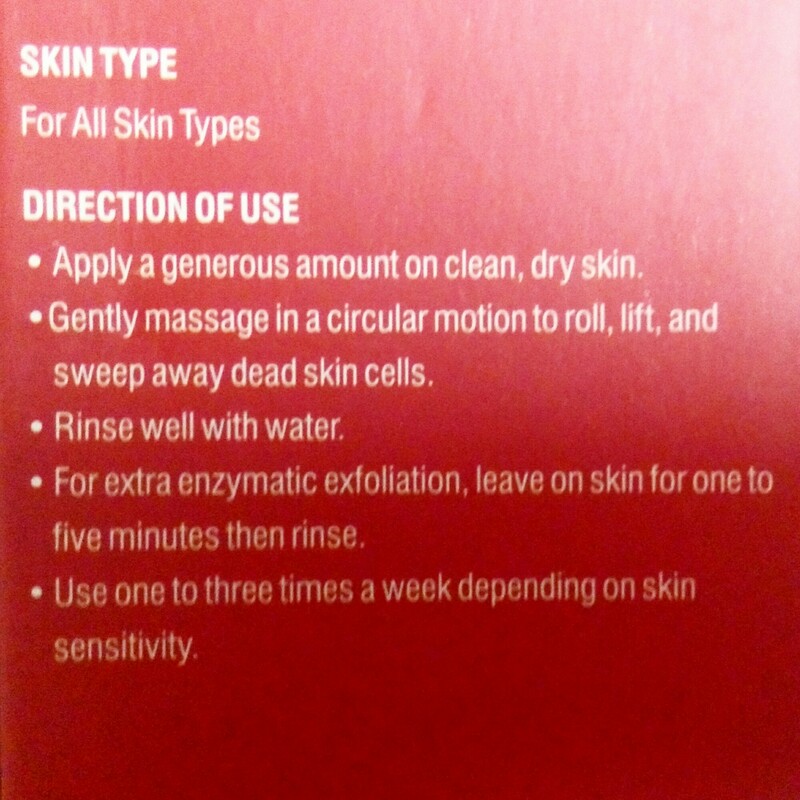 I have tested this by applying the scrub to only one part of my face. When i did this the part of the face washed with scrub looked clean & smooth as compared to the other part of my face which appeared dull. I also made my sister use this but she did not like it as her skin was prone to acne. I have a combination skin and i am perfectly fine with it. Gentle and effective on skin in single use is what i love the most about the product. 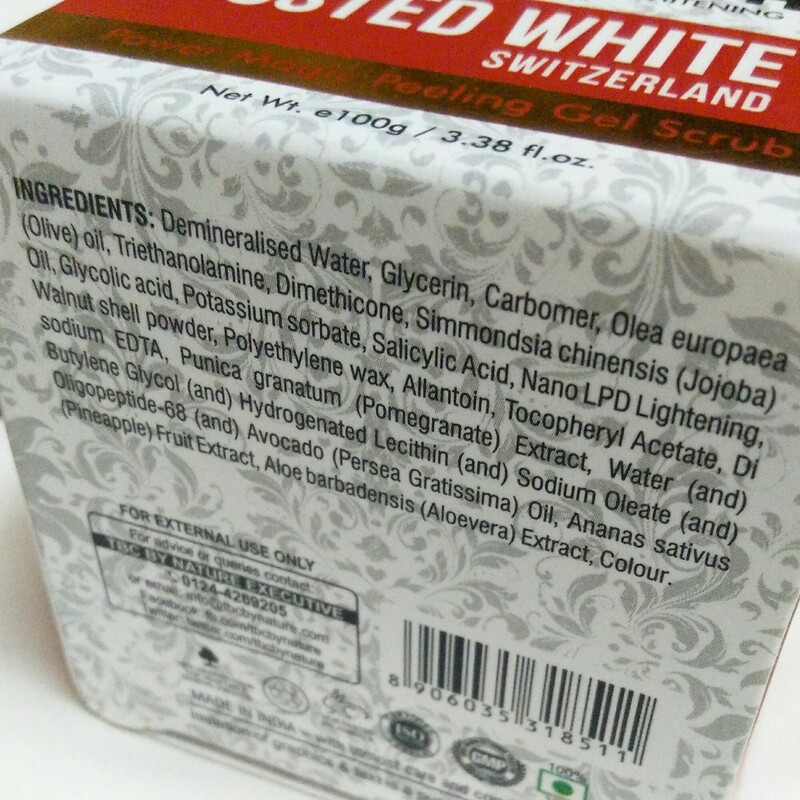 The brand says it is suitable for all skin types. But as my sister did not like it, i guess ones with acne prone skin may not like it. Thats all 🙂 Hope you find this review helpful. If you have any queries or suggestions do commemt below and i will reply asap.